Mehboob starts his day by cleaning cars in Adayar, Chennai. It is 10 am and awaits calls from his owner for any driver duty. First look at Mehboob’s life, it all seems routine and ordinary. But take a closer look and you will see the struggles of many such families from a lower income group trying to make a living in the big city of Chennai. Mehboob works a driver. He married Noorjahan eight years ago. Today the family lives in a small rented room near Adayar. This year, the couple was expecting their first child after 8 years of marriage. But the November steered their life into some unexpected struggles. “Noorjahan went into labour 2 weeks before her due date. Her blood pressure shot off the roof. I remember the doctor walking up to to me, holding my hands, and telling me how bleak the hope of saving either one was. They asked me to choose between my wife and my daughter, if it came to saving one of them. Over the last three years, all me and my wife wanted was a baby to complete our happiness. How was I suppose to pick?" On 25th November 2016, he became a father to a baby girl. But this joyous occasion is inked as a ‘petrifying night’ as he calls it. Doctors managed to save the mother and daughter. But when neither Mehboob nor Noorjahan got a chance to hold their daughter. 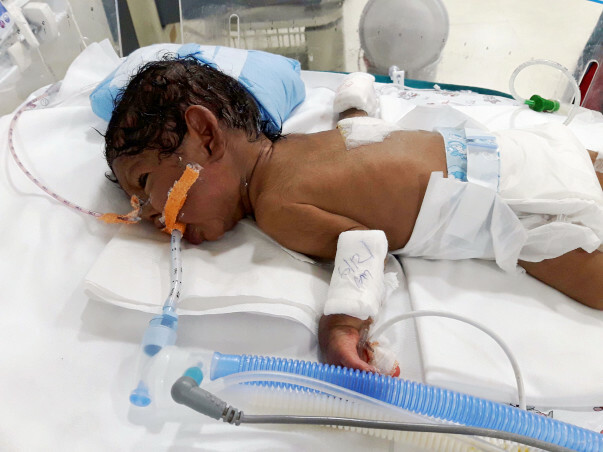 It dawned on Mehboob that premature baby care comes with its own set of complications. 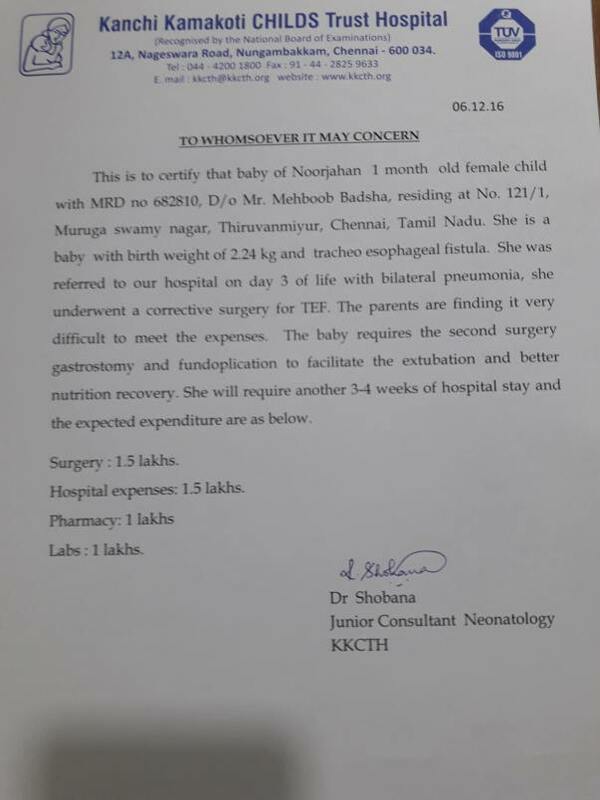 The baby underwent a surgery for TEF and now requires a second surgery for gastrostomy and fundoplication. These are the only updates Mehboob got from the doctors, every time he asked them when he could hold his baby. How Can You Help Mehboob? Mehboob earns Rupees 7,000 a month. His wife is a home-maker. His income is barely enough to cover his daughter’s everyday antibiotics. Medical expenses since November 2016 have already been a struggle. It's not easy for a parent to see his child fight complications this grave. Your support will save his only daughter. Please contribute now and help Mehboob. Baby of Noorjahan is still in hospital and might require treatment for another three months. 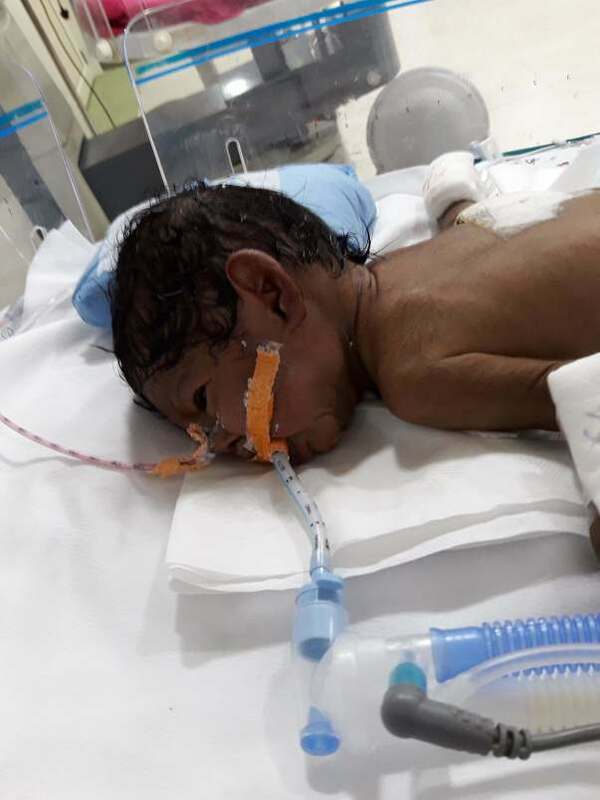 The baby has undergone four surgeries for her dysmorphic multiple anomalies. She is currently doing well under the support of ventilator to ease respiration and the doctor is hopeful that her condition might get better very soon. Thank you all for your contributions and please do keep her in your prayers. 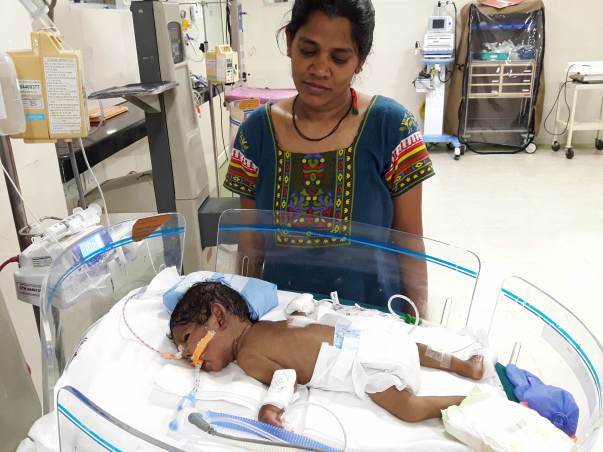 Noorjahan's daughter is on gastrostomy feeds after surgery which is well tolerated. The fundoplication surgery was conducted successfully on December 3. She is on the ventilator currently with concerns of tracheostomy. She will improve with weight gain when the strength of her muscles increases. The baby is undergoing physiotherapy and is on antibiotics and nutritional supplements. Her mother has recovered but yet is still a long way to get discharged.